The envoy of the Donetsk People's Republic to the the talks on Ukrainian reconciliation held in Minsk says that the participants have only managed to exchange their points of view. MOSCOW, January 31 (Sputnik) — The participants of a fresh round of talks on Ukrainian reconciliation held in Minsk, the capital of Belarus on Saturday only managed to exchange their points of view, Donetsk People's Republic (DPR) envoy at the talks Denis Pushilin said. "I can not say that today's meeting was productive. We have only just managed to exchange our stances," Pushilin told reporters. DPR Envoy noted that militias' stance remains the same and comes out of the current situation. "The actual line [of contact], on implementing of which we have to insist, is quite objective," he stressed. "The conflict, which was caused by the Ukrainian side and led to a huge civilians' death toll, destruction of infrastructure and residential areas forced us to launch a counteroffensive and the line of contact has changed its boundaries," Pushilin added. According to DPR envoy, Kiev is against the actual contact line between Ukrainian forces and independence supporters and insists on fixing it as was agreed on in September 2014. 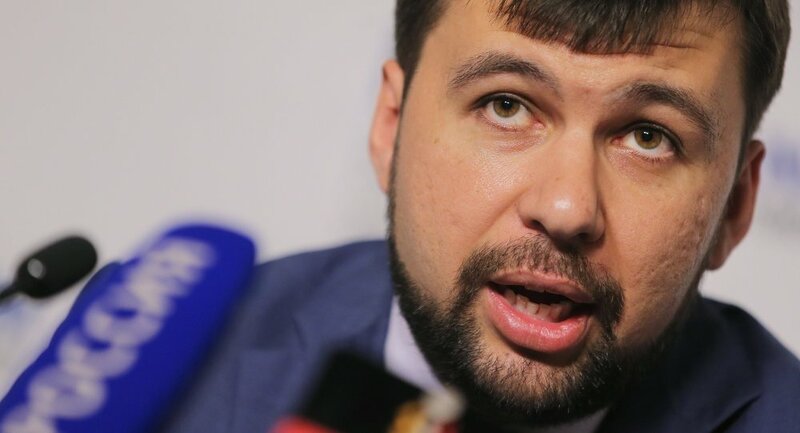 "Ukrainian side is against the actual line, it insists on the line fixed on September 19 ," Pushilin claimed.